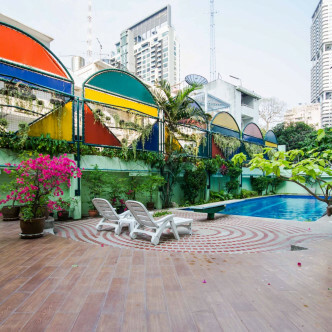 As the name suggests, The Residence 26 is situated on Sukhumvit Soi 26 and is a decadent yet homely apartment building that is ideal for families and young business professionals. 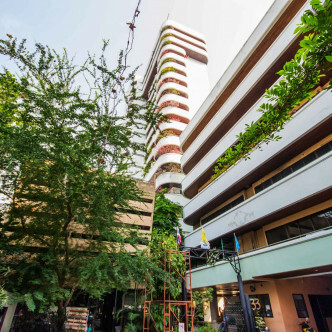 The building was completed in 1986 and each of the 15 units has been recently remodelled to reflect the latest style. 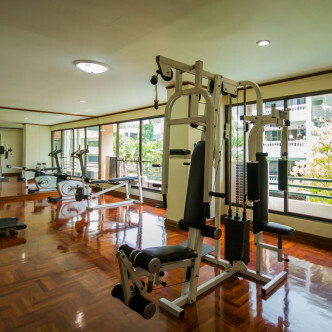 One of the great things about The Residence 26 is the excellent range of facilities that the building offers. 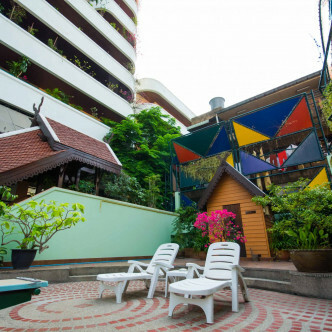 The large swimming pool is surrounded by a colourful garden, while the building also offers a decadent steam room and a fitness centre. 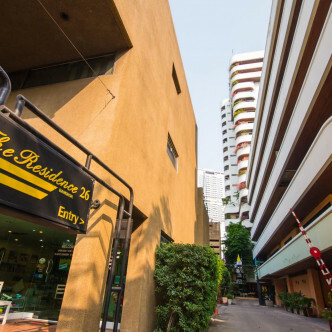 The Residence 26 boasts a location in the Phrom Phong district, which is one of Bangkok’ most desirable neighbourhoods. 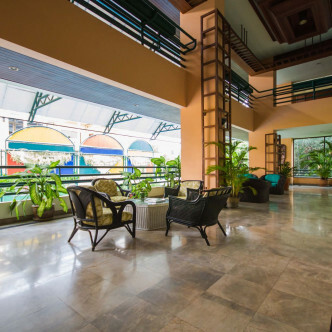 Several large shopping centres such as Carefore and Tesco Lotus can be found within walking distance of the building, while the large Terminal 21 shopping centre is a stylish place in which to browse for bargains. 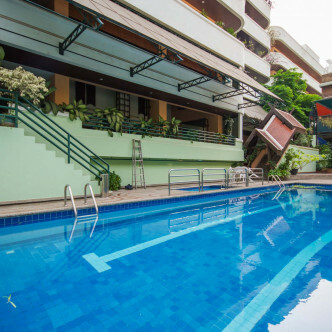 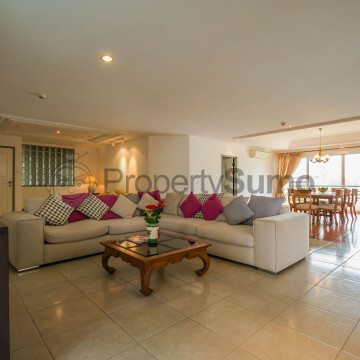 Quick connections to the rest of the city are provided through the Asok MRT station and the Phrom Phong BTS station, both of which can be reached on foot from The Residence 26 in ten minutes or less.